Ricardo’s openair and R data training course is a 3-day intensive course delivered by Dr David Carslaw, lead developer of openair. 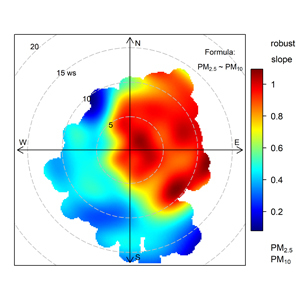 The main areas covered by the course are; working with air quality data; an introduction to main openair functions; bivariate polar plots. 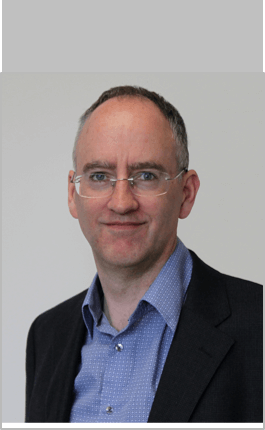 The course will be led by Dr David Carslaw who holds a joint position with Ricardo Energy & Environment and the Department of Chemistry at the University of York. The course will be held in Ricardo Energy & Environment’s central London office close to Paddington rail station. 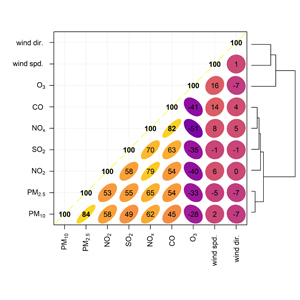 The application of powerful analytics techniques to analyse raw air pollution data offers air quality managers far superior insights than the use of ‘traditional’ descriptive summary data. The richness of the information available can help air quality managers to better understand the sources and influencers of the pollution climate, helping to create a robust evidence base and underpin decision-making. 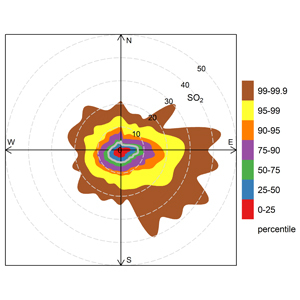 Openair is a universal package of tools written in R software (an open-source programming language) for the dedicated analysis of air quality data. Developed over many years, openair is used extensively worldwide in the public and private sectors, academia and industry. The openair system allows individuals to construct, test and perform rigorous and complex analysis at an advanced level of granularity, providing an unrivalled depth of scrutiny within data sets. However, despite openair being open source, significant technical expertise is required to know which tools and techniques are most appropriate to derive meaningful insights. Without the correct expertise, access to such powerful software becomes redundant. This leaves users only able to draw surface-level conclusions without the true depth of understanding that is available. 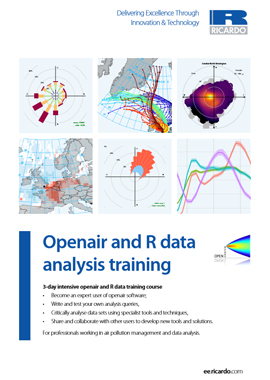 Ricardo’s openair and R data analysis training course is designed to address the need for technical capacity building and training on the openair toolset. Aimed at beginners and those in need of refresher training, the course is designed to help users harness openair to its full potential, extracting the full value from their air pollution datasets. Ricardo’s openair and R data analysis training course is a 3-day intensive course delivered by Dr David Carslaw, lead developer of openair. 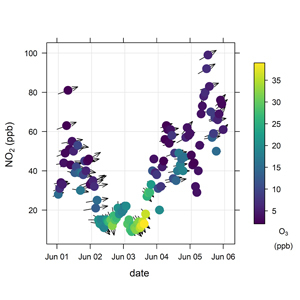 As one of the original developers of the software, David and his team of air quality experts are ideally-placed to offer users practical training on how to approach data analysis; the best tools and techniques to use to yield the most insight; and how to critically review and interpret data in a meaningful way. Share and collaborate with other users to develop new tools and solutions. A large proportion of the course consists of practical exercises during which users will benefit from the opportunity to practise advanced analysis techniques and approaches using their own data. Learning within a familiar context encourages better understanding and knowledge retention. The course is aimed at new and existing users in local/central government, industry and academia with a need to analyse and interpret air pollution data. This course is designed as a foundation level for beginners with no previous experience of using R. However it will also be of benefit to established users in need of refresher training or one-to-one advice and guidance. To register or for more information, please complete the contact details form.